The pageant comes to Nassau County after having been held in Suffolk County for many years. Hempstead, NY - March 14, 2014 - Nassau County Executive Edward P. Mangano announced today that the 2014 Ms. New York Senior America Pageant will take place on April 27th at 2:30 p.m. at Hofstra University. The pageant comes to Nassau County after having been held in Suffolk County for many years. 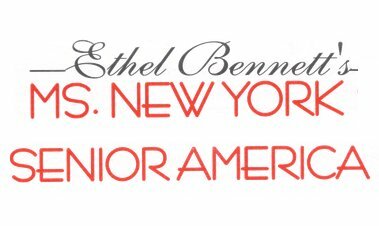 The New York Senior America Organization features 15 women contestants aged 60 years or older, who best exemplify the qualities of the modern dynamic senior. There will be an array of talent on display, including singers, dancers, and musicians. The pageant consists of four categories: a personal interview; a recitation of their philosophy of life; an evening gown presentation; and a talent performance. The judges will select the “Queen and her Court” and the winner will go on to Atlantic City in October to competewith queens from other states for the coveted National Crown and title of Ms. Senior America. Reserved seating for the 2014 Ms. New York Senior America Pageant is available for $25 per person. Group rates are available. To purchase tickets, please call Dolores Meglio at (631) 249-0258. For more information please visit the website. Subject: LongIsland.com - Your Name sent you Article details of "Ms. New York Senior America Pageant To Take Place April 27th At Hofstra University"